Aki does not believe in magic. He makes it happen. 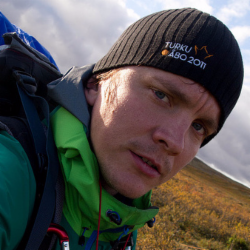 Aki is a hiking guide of Suomen Latu and is using the leadership principles learned in such an agile environment in his daily work at Ambientia. Professionally, he travel all around Europe to speak, to share and to listen with software craftspeople on what the community has learned. Aki is well known in Software Craftsmanship Communities all over Europe for his down-to-earth and human touch. In short – Aki is a fluffy programmer. Meet a man who is living his dream.